Home » Videos » Cone of Shame » 3 Myths about Dog Food That Need to Be BUSTED!!! Choosing the right dog food can be a big task to to handle. Is grain-free the best option for your dog? 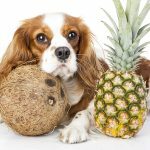 Is there one diet that is right for your pet? Find out in this episode of Cone of Shame! Never miss a new episode of Cone of Shame. Click here to subscribe on YouTube. This episode of Cone of Shame made possible thanks to a grant from Royal Canin.